Wonderful clip art drawing of a rake, shovel and how. 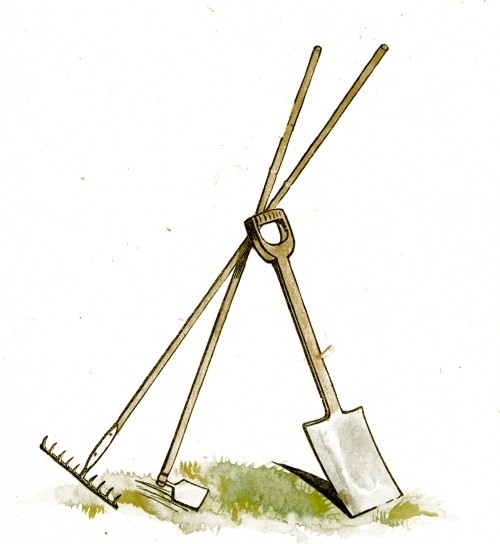 Gardening tools clip art is usually not as fine as this great public domain household item drawing. Wouldn’t it make a great addition to a scrapbook page about gardening?